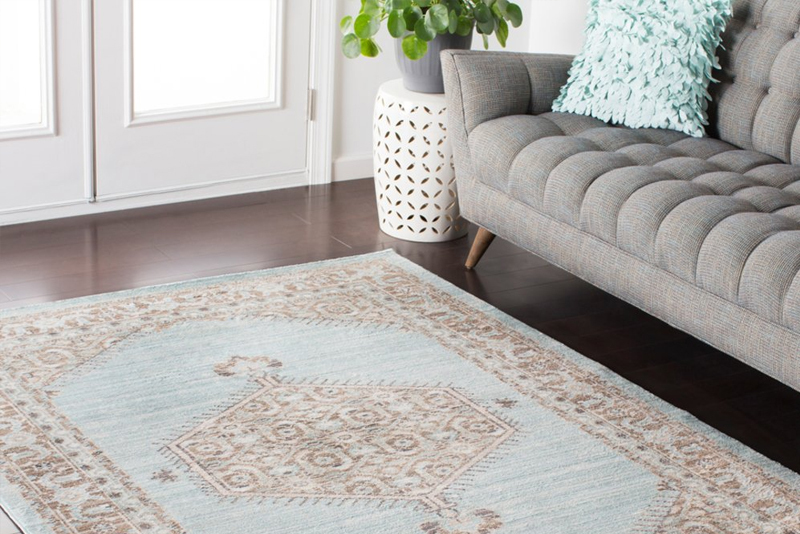 Shop Rugs Online – Whether you’re looking for outdoor rugs for your patio or just an area rug to set off your living room — Wovenly is perfect for choosing a rug. 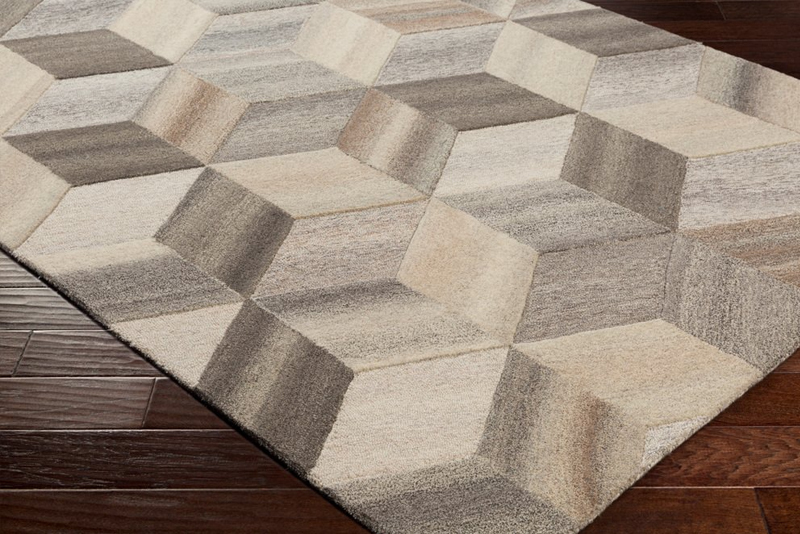 We picked out the 7 reasons you’re most likely to find the unique contemporary rugs that will take your living space to the next level. From Midcentury Modern to Boho, Wovenly has a huge selection of indoor and outdoor rugs to match your color patterns and styles. Area rugs are a great way to show your style and make a statement. Often interior designers use the rug as the starting point for creating a palette for the room. 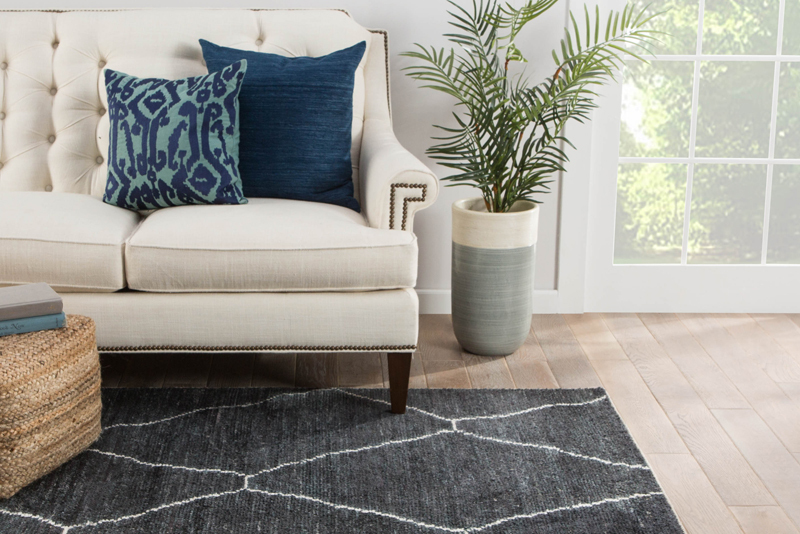 The Wovenly selection can ofter option after option, whether it be classic wool woven into a solid statement rug for your entryway area or a beautiful, bright geometric style print for your place. The types and choice of style offered to make shopping online easy. 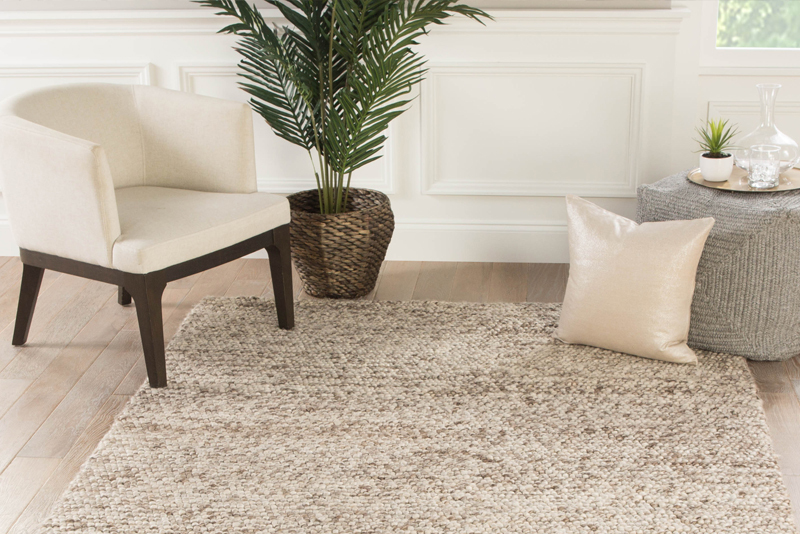 If you’re looking for an indoor/outdoor rug that isn’t subject to change with time and that can hold up in high traffic areas while retaining its quality, then Wovenly has you covered. They have a great variety of options for natural fibers on indoor area rugs. These are rugs that hold up under the wear and tear of a bunch of kids while still looking great. Rugs work well as both an aesthetic piece as well as mats for shoes and boots — which means they should also be durable. If you have a coat room area or anything that needs carpet protection from scuffs or spills, a rug is a perfect option as most are machine washable–just be sure to double-check the label before cleaning it to make sure you don’t ruin it. Plus, you know it won’t wear out and will be there when you need it. Rugs offer soft, rich textures that can feel as interesting as they look. Having a comfy rug is a contemporary way to get some comfort back in your living space. There’s nothing better than digging your toes into a large and soft rug at the end of a long day at work. The kind of rug that makes sleeping under the coffee table area feel like a real option. If you love luxury and want to shop rugs online, this is a way to give your living room the palatial treatment it deserves. Live a little. Too often it feels like rug stores are just selling by the square yard. 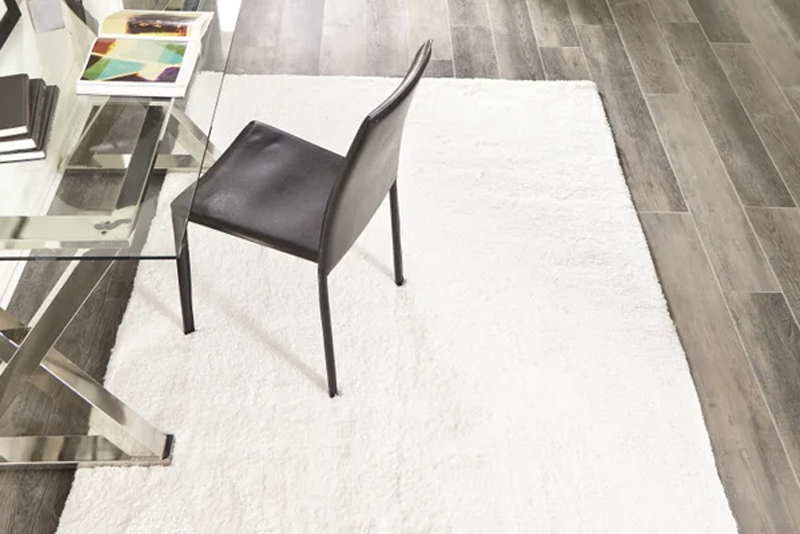 When you want to shop rugs with quality and style that also care about the environment, you can look no further than Wovenly’s commitment to offering a variety of area rugs. There are tons of environmental fibers like wool, jute, or sisal blends that are sustainable and also work wonders on people with asthma or allergies. If you’re someone who struggles with rugs because of the dust factor, then sisal represents a great option. They also look great, simple, and don’t add too much visual distraction from your space. Runners are basically carpet or rugs that run up and down a staircase. They function similarly to a rug, in that they are a way to add comfort and style to your house (in this case, the staircase.) Hardwood floors have made a big comeback and as such carpet runners have become a hot new trend. Picking a contemporary pattern that’s simple, but bold can have a really fresh and clean look that will elevate your stairway into art. That’s the beauty of creating an aesthetic: it can start from a rug and work its way throughout the rest of your house. If you’ve felt like your entryway or stairway feels extra cold and bare, then a rug is a great option to give good contrast and definition. For an even more precise look, try customizing your carpet runner to your staircase, rather than using a pre-cut runner with a border. It might take more time, but the look is timeless! Tassels have become a big fashion trend, and nowhere is that more aptly apparent than in rug trends. It’s a fun look that sort of borders the sassy and the classy. Rugs are a classic way to get a little tassel into otherwise austere locations like a large living room or kitchen area. Tassels add tons of definition and texture and can really bring out the aesthetic of a room. The beauty is that these look great in even neutral colors like cream or beige. If you feel like your room is a little flat right now, then maybe some tassels or tufts is the way to go. Plus, as we said before these are ones that really make you want to dig your feet into them and relax. If you’re feeling even more advanced, there are chunky blankets to give a multi-textured look to your space. 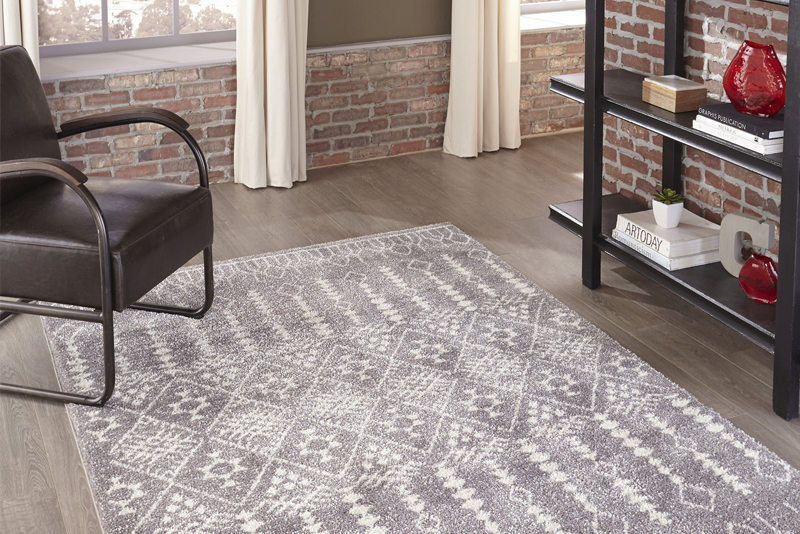 A multi-textured rug isn’t just comfy, it’s an intriguing design choice that can act as a statement piece for the entire room. These are rugs as art, but it doesn’t hurt that they fill the space between the plush rug and modern. These are the perfect mixture of softness and design which can really turn a room. Maybe the most fun rug trend of 2018 was the one toward funky, fun geometric designs. The style is called, “Geometric Bohemian” which allows you a little bit of the Boho aesthetic without ever getting too clunky or messy. 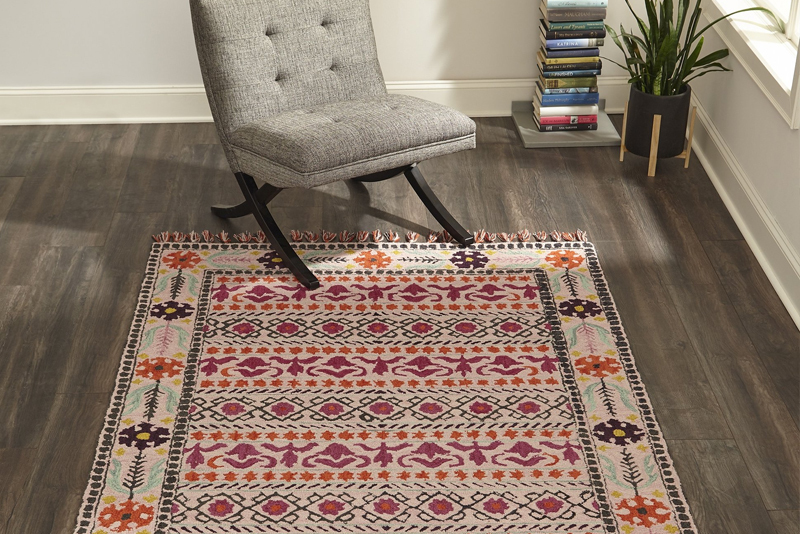 It’s the perfect way to shop rugs and make a fun aesthetic choice that will add just a dash of Boho class to your decor. It’s a way to say that you love books, but you also love the comfort of a little softness and invitation. 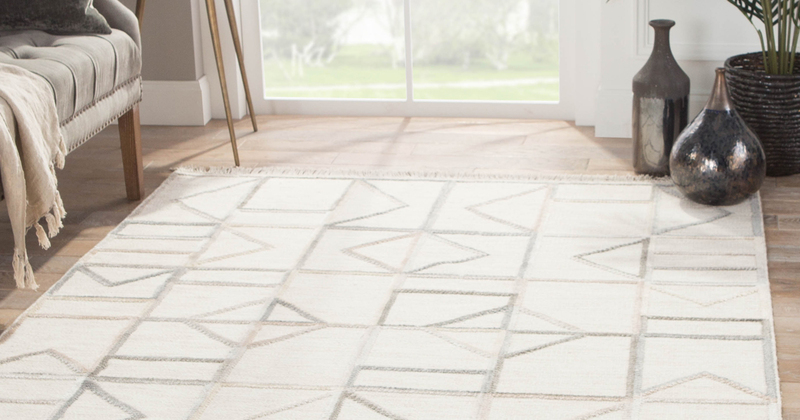 These looks are especially nice if you’re looking for a rug for a nursery, but want to keep the space looking modern and nice yet still warm and gentle. These are plush rugs with chunky, multi-textured styles that can be perfect for comfort and relaxation. They’re also a fun way to liven up an otherwise dead office space or give a little home charm to your guest room. It’s a flexible style that says sophistication, comfort, and fun are all an important part of this space. And I mean, who doesn’t love a little sophistication, comfort, and fun? Sounds like Mad Men. So there you have it, the seven easiest reasons ever to get on Wovenly and find you a rug that works for you. It’s easy to use, an aesthetically pleasing website that is a breeze to search and browse. It’s great to feel like the pressure is off and you can look for the exact right small area rug that will set off your space or complete your patio area. Plus, they’ve got tons of helpful service people and design advice for how to best match your space to the rug. Give it a look, you’ll be glad you did.